Calling all camper and staff alumni! HOC has started to make plans to celebrate this memorable year with two exciting events. Our alumni family BBQ in the spring and staff reunion in the fall. If you are an HOC alumni, hope you can join us. Come share your memories and experiences with your family where it all began -- at HOC. 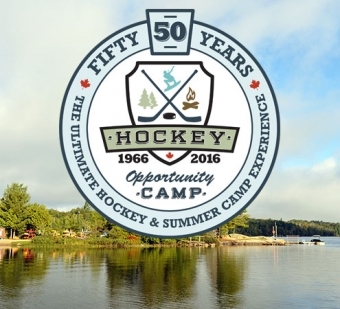 We invite any alumni campers and staff (including families) to join in on the 50th anniversary celebrations. The afternoon celebrations will include a BBQ lunch, live entertainment, camp activities and more. Please note, no pets allowed during the event. The event is free to all who register. 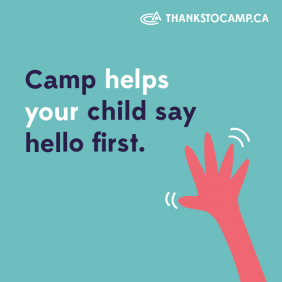 For families who want to really re-live their camp experience and spend the night at camp with their family, you can add on the Overnight Program option including cabin accommodations, dinner/breakfast, evening activities and campfire. Families will be assigned to their own separate cabin (bunk beds and families must bring your own sleeping bag/bedding). Separate male/female bathroom facilities are located outside cabins. Please note, no pets allowed during the event/overnight. Overnight Program cost is $40 per adult, $20 per child (15 years and under). REGISTER NOW to secure a spot in this special camp celebration. Spots are limited based on space. Cabin accommodation (bunk beds, participants must bring your own sleeping bag/bedding). Separate male/female bathroom facilities are located outside cabins. Variety of camp activities including evening campfire. REGISTER NOW to secure a spot in this special camp celebration. Spots are limited (120ppl) based on space. IMPORTANT: In order to register for either event, all alumni Must Log In or Join Our Alumni Community. This alumni portal will help us keep track of all alumni but also provide an outlet for alumni to share their memories and photos.